Bethany is preparing for a visit from a bishop. According to the college, Rev. 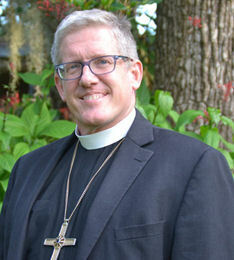 Bishop Michael Rinehart, Bishop of the Texas-Louisiana Gulf Coast Synod of the Evangelical Lutheran Church in America (ELCA), is scheduled to visit Bethany College on Wednesday, March 27, and Thursday, March 28. As a part of the college’s five-year strategic plan, Bethany, Arise!, the college is regularly hosting ELCA bishops and pastors on campus.